How to aim for high marks in innovation and excellence? 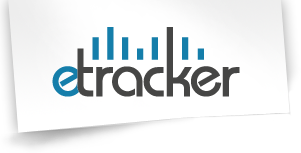 etracker’s focus is workplace safety, and our team and products are helping lead the evolution of this industry. We are passionate about reducing workplace injuries and helping companies of any size improve their safety reporting while getting better, more actionable data on where to focus their safety efforts. In 2009, etracker Assisted Global Industries won the NOIA Safety-in-Seas Award. In 2007, they developed the first document scanning service that requires no software and provides web storage and accessibility. We developed and implemented the turnaround concept to the oil refining industry, helping Murphy Oil save over $3,000,000 in 30 days. 2019 © Tudip Technologies Pvt. Ltd. All rights reserved.